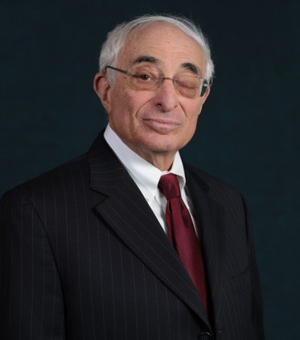 Dan Krasner is a senior partner of Wolf Haldenstein who has served on the Firm’s Management Committee. Mr. Krasner, who founded the Firm’s complex litigation and class action practice, specializes in complex corporate litigation and class actions representing both plaintiffs and defendants including corporate clients, institutional investors such as public and labor pension funds, labor health and welfare benefit funds, and private institutional investors. He led the Firm as it recovered over $7 billion for investors, corporate clients and farmers. Mr. Krasner is a senior member of the Firm’s Investor Protection, Consumer Protection and Business Practice litigation groups with an emphasis on securities law, antitrust law, corporate law, and mutual fund matters. Served as lead counsel in high profile federal multi-district litigation matters in the U.S. including securities class and derivative actions and mutual fund litigation representing institutional and individual investors, which resulted in the recovery of billions of dollars and significant corporate governance reforms against companies in cases such as the IPO Litigation, the Mutual Fund Timing Litigation and the Madoff-related litigations. Represented corporate investors in their efforts to make significant corporate governance changes in the companies they invest in. Represented shareholders in several precedent-setting shareholder actions in Delaware Chancery Court and the New York Court of Appeals. Served as lead counsel in several class and mass actions where he recovered over $1 billion for taxpayers, farmers, tenants and others. Successfully obtained securities litigation recoveries and/or corporate governance reforms from AIG and several mutual fund families. Advises and counsels on all litigation matters brought on behalf of the firm. Mr. Krasner is rated AV Preeminent, the highest rating given by Martindale-Hubbell®, the country’s foremost legal directory. Mr. Krasner is a member of the Association of the Bar of the City of New York, the Association of the Bar of Rockland County, the New York State and American Bar Associations, Federal Bar Council and numerous other bars and industry and investor groups. Mr. Krasner lectures at the Practicing Law Institute, Rutgers Graduate School of Business, and the Federal Bar Council. He has testified before Congress regarding shareholder litigation. Mr. Krasner is affiliated with numerous organizations, particularly in the area of Jewish education. He serves as President of the American Friends of Netanya College, and is a Board member of both Bar-Ilan University and the Pardes Institute of Jewish Studies.